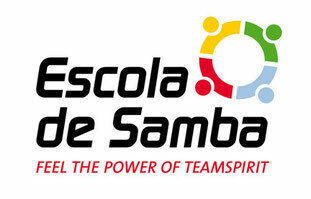 Escola de Samba Team Drumming - the most effective teambuilding - escola-de-samba2s Webseite! We do team drumming events based on Samba Batucada. We drum with our customers' employees and let them experience how great team spirit feels. For this we have developed a music-didactic concept, which ensures that people without any musical experience are able to develop real Samba-groove very quickly. But we do not just let this groove fizzle off, but create a transfer to make this groove sustainable for the companies and their employees in their usual business life. For our own event concept, we use techniques from NLP and the latest findings of neurobiology. But one thing is clear: these mechanisms have been taking effect on all continents of the earth for many thousands of years. Music and drumming are deeply human activities. Drumming has always been an activity that gives us human beings the deep experience of togetherness, cohesion and we-feeling. Drumming together is fun because it gives us the positive feeling of collaborative action. We call this feeling team spirit. The goal of our Samba Drummings activities is to make the positive experience of this outstanding, communal emotion "team spirit" tangible and to anchor it in the long term daily business of our clients. Drumming together is not just fun, the experience of groove and collaborative flow create this outstanding experience of team spirit. With its innovative concept, Escola de Samba has created a way of transferring this experience of team spirit to the everyday working business. Escola de Samba Team-Workshop - Emotional Transfer Drumming - Escola de Samba Fiesta - Sunset Yachting & Drumming Cruise - Introductory workshops. If you are looking for ideas and types of events that complement and optimally and sustainably recharge your next employee events, your team building activities or team events with positive emotions and team spirit, then Escola de Samba GmbH & Co. KG is exactly the right place. 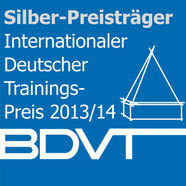 Call us (+49-6144-335584) or demand a tentative offer for your successful event! Making music in a group is fun because we experience positive feelings through doing so together. We call this feeling team spirit. The aim of our activities is to embed the positive experience of this outstanding, collective feeling of team spirit with our events and to anchor them long term during our joint samba drumming adventure. Our clients include companies, clubs and institutions. Get your own impression of our credentials! I've been working with Frank Vollet and his “Escola de Samba" for seven years, focusing on Emotional Transfer Drumming as part of my sales and leadership training. The number of participants varies between 20 and 50 participants. The transmitted messages have "engraved" themselves into the minds of the participants: a consequence of the outstanding and conceptually demanding work of Frank Vollet and his team. I will certainly work for many more years with Frank Vollet and recommend him outright. For many years Escola de Samba has been supporting me in my change management and team building projects with consistently high quality and competence. By creating music together, all phases of team building are experienced and bundled together to create a shared experience that generates lasting and long-term positive effects on employees and executives. Dear Mr. Vollet, your refreshing support for anchoring our strategy with all our employees has really found its emotional climax in the recording of our own song. 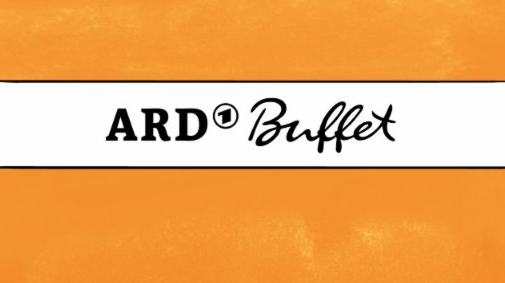 All employees were filled with enthusiasm and dedication. When the groove emerges, the goal of our event has been reached. For this we would like to thank you and your charming team, which passionately created an unforgettable experience for our company. Many thanks to Frank and his team of the for the great collaboration of the last years. We like to work with Escola de Samba in our change projects, especially in large group events, and we are always thrilled to see how team drumming brings together our clients, promotes self-reflection and at the same time communicates playfully how individual performance and team cohesion are equally necessary for a good result. We have experienced great competence, patience and lots of fun in our collaboration and thank you for the many special moments. […] Frank Vollet gives Samba seminars to strengthen the sense of community, e.g. in companies and businesses. Whether joint music making actually creates harmony, Claudia Bathe found out during an event in Mainz [...]. Due to the SWR2 news report, we had a lot of inquiries and above all interested audiences. Team building with team drumming is an adventure for everyone. We always received great feedback for our previous workshops and events, which made us very happy. Team Drumming is motivating, thrilling, rhythmical, challenging and inspiring at the same time. Become a part of this community too! Develop team spirit! Get to know yourself and others better, we are looking forward to a fun drumming experience with you!